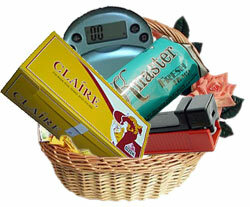 We sell a great variety of the world´s finest gifts at the best prices. All our gifts will be delivered in their original packaging! Our privacy guarantee: An account is not necessary in our shop. Hiperregalos.com will never give your personal information to anybody. Hiperregalos.com will only temporarily save your personal information highly encrypted. All data will be destroyed after the order is delivered. You can even choose to receive our payment instructions and order status information anonymously without any personel data. All of this ensures maximum protection of your personal information. No other trader protects your personal data in that way. For more details click on Privacy. Ordering at Hiperregalos.com is very easy, just take a look at our online shop and put the article you want to buy in the shopping cart. After finishing shopping just click on Checkout. Payment is very easy. We offer a large variety of payment methods. For orders of 100 Euros or more we do not charge any shipping or handling fees. IMPORTANT: We do NOT accept Paypal!